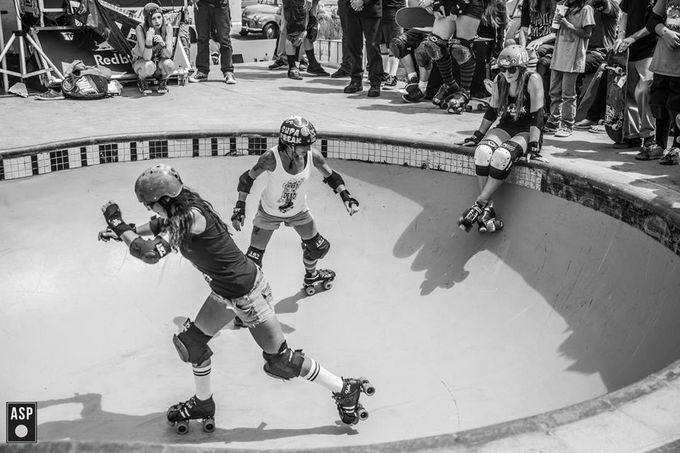 Chicks in Bowls began as a fun little side project in Auckland, New Zealand, led by one of the country’s top roller derby skaters, Lady Trample (whose real name is Samara Pepperell). “They allow travelling skaters to meet up with the locals and find the best spots. Because the sport is still very new and grass-roots, it’s less intimidating being a newbie as the crews are all growing together,” says Lady Trample. Now there are more than 150 chapters across New Zealand and Australia, the United States, South America, Europe and South Africa. “We have a core group of girls that pitch in a lot of time, efforts and energy into keeping the wheels turning. They are all like family to me and I don’t know what I would do without all of the lovely ladies in my life,” says Gloria Zef, organiser of the Southern Californian chapter. Read article at Coolerlifestyle.com HERE.